Who ever said rock ‘n’ roll is dead needs to take a moment and see this. Scott Knight resurrects the iconic style and creates some stunning imagery taking inspirations from rock ‘n’ roll legend Joan Jett. 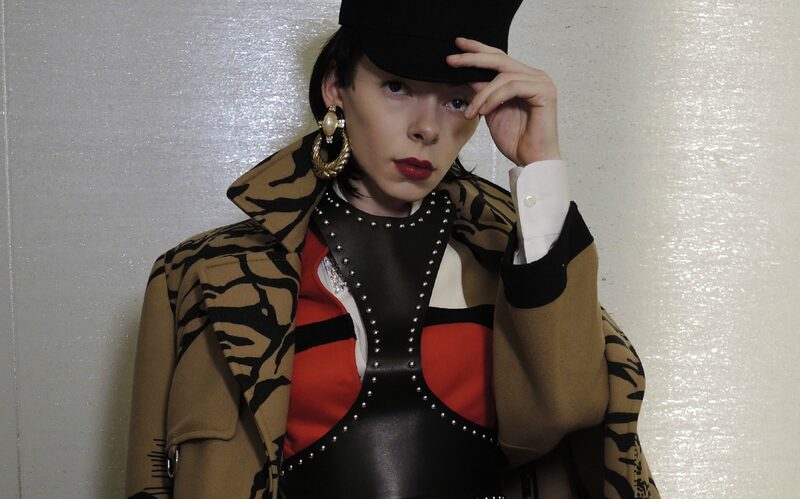 Hat: Dior | Coat: Dior | Harness: Alexander McQueen | Tights: Calvin Klein | Earrings: Scott Knight. Shirtdress and Jacket: Gucci | Belt: Alexander McQueen | Tights: Calvin Klein | Earrings: Scott Knight. Coat: Burberry | Blouse: Prada | Harness: Alexander McQueen | Tights: Calvin Klein | Shoes: Dolce & Gabbana | Earrings: Scott Knight. Hat: Dior | Coat: Valentino | Coat: Dior | Harness: Alexander McQueen | Tights: Calvin Klein | Scott Knight Earring. Coat: Gucci | Blouse: Prada | Belt: Celine | Earrings: Scott Knight | Tights: Calvin Klein.